You have a site! So… now what? Okay, you took the plunge. You’re the proud owner of a shiny new My Writing Network website. Great! Congratulations! First things first: if you don’t have the time, energy, or desire to read through this, or to build your own site, check out our Flat Rate Starter Package. We can get you up and running with a basic version of your own site for about a hundred bucks. You can always fine-tune it later. But let’s say you’d like to learn how to do this for yourself. Great! If you know how to send and receive email, surf the web, and use a word processor, you already possess all the skills you need to use a My Writing Network website. Enough small talk! Let’s get started. We’ll talk about two things in this article: Content and Style. Content means the stuff that’s on your site–words and pictures, mostly. Style means what your site looks like. 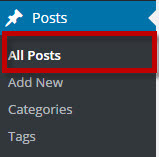 Let’s talk about how to put stuff on your site. 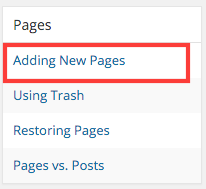 When you first visit your site, you’ll see a blog post with some generic starter text on it. Every site starts out the same way. The first thing you should do is get rid of that first blog post and replace it with your own material. And under the post called “Hello, World”, select Trash. Very good! Your default post has been trashed. Now, let’s make one of your own! 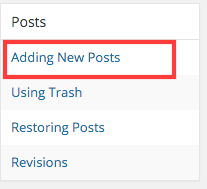 Blog posts are pieces of any length that are updated regularly, sometimes several times a day, sometimes once every few months. Rather than explain the whole process to you here, I’ve got a very short video for you to watch. This video is accessible through your dashboard, which is what you see when you log into your site. Watch that video a few times if you need to. You can watch it as many times as you like! It’s not going anywhere. Once you feel comfortable giving it a shot, go ahead and make your first blog post. 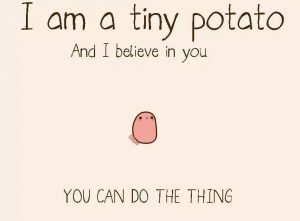 You can do it! Now you can try your hand at creating your first Page. This is a static page that doesn’t usually change very often. It will have the same material there all the time, so that people know where to find it. Check out this video to learn how to add your first page. and then watch this video to learn how to add your page to a Menu. Your menu is the place on your website where people can see all your pages and click on them. If you understand posts and pages, you’re well on your way to mastering how to use your My Writing Network site! 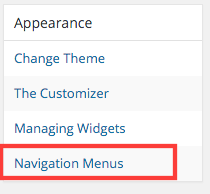 Your site comes with a default theme. “Default” means “out of the box.” A theme is the general look of the site. 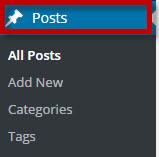 Your default theme is the theme your site was sporting when you first signed up. You can change this any time you like. We’ve got a video for you to watch about that, too. Changing themes is as easy as changing your clothes. 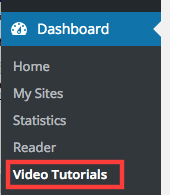 Go back to your dashboard, click on Video Tutorials, and look for the video called Change Theme. Go ahead! Try changing your theme a few times. You’re not going to break anything. 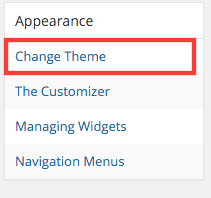 Later, if you choose to customize your theme a great deal, changing themes might change your site in ways you’re not fully expecting. But for now, as you get used to your site, before anyone knows it’s here, it’s a great time to try out all kinds of things. This is the best way to learn! You’re well on your way to mastering your My Writing Network site! Don’t forget, if you have questions, you can write to us at support@mywriting.network, and someone will get back to you as soon as humanly possible! Author BillPosted on April 26, 2016 January 30, 2017 Categories UncategorizedLeave a comment on You have a site! So… now what?